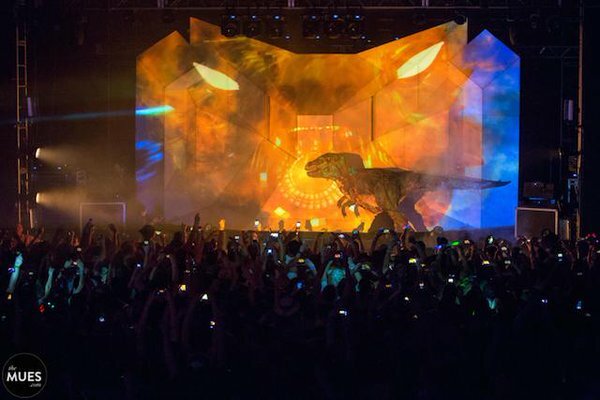 Excision‘s Lost Lands Festival seems to be lit … literally. The Ohio-based festival featured a volcano near the stage as one of its main attractions, but as one attendee caught on camera, the massive structure caught on fire mid-festival. We were temporarily shut down due to a small fire at the top of the volcano. On hand fire personnel quickly had it under control and the fire was immediately extinguished. After approval from the fire marshal and the sheriff, we’ve started back up again and Zeds Dead is on stage killing it right now! Thanks everyone for your concern, Lost Lands goes on! Luckily, no one seems to be hurt. Stay posted for more updates.